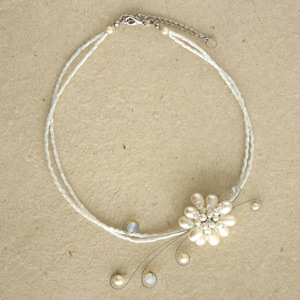 This fascinating necklace by Sirada exudes charm and elegance. 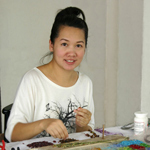 The artisan threads the pearls, milky quartz and glass beads by hand. The wrap necklace closes with a lobster claw clasp and is adjustable in length. 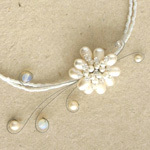 Materials: Pearls, glass, milky quartz and stainless steel.